Metalline emulates Stone, Corten and Patina natural facade finishes with new PPC range ..
A more visionary approach to external wall applications on offices and commercial buildings, has led architects and designers to source a wider selection of decorative natural facade finishes for their projects. In response to this Metalline one of the UK’s leading fabricators of aluminium rainscreen cladding and facades have added an exciting new collection of natural facade finishes to their PPC range. Their new PPC collection seeks to emulate the natural oxidation of metals and the natural finishes and textures of stone an application of this new treatment can produce a dramatic effect to a building’s exterior. 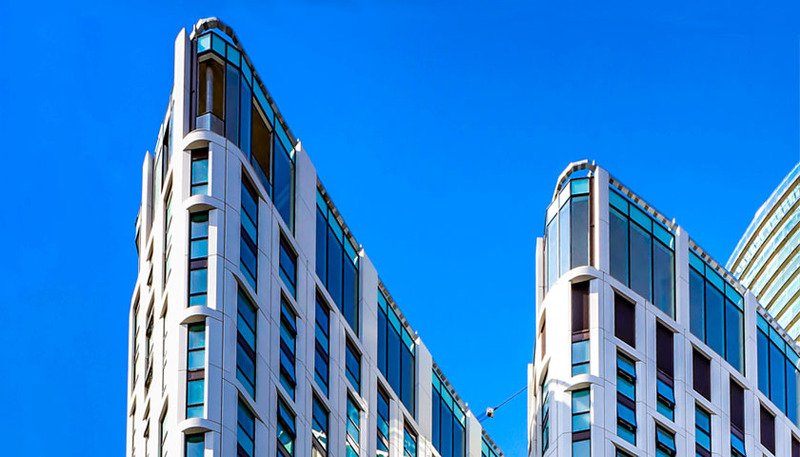 The new PPC finishes can perfectly replicate Portland stone for example and architects have already started to use these finishes on some high-profile projects. Applied as a polyester powder coating the range includes a wide selection of interesting colours and textures including plain oxide, tile, soft and crystal patina. PPC finishes on Metallines’ Unity rainscreen and Ultima insulated panels have the added advantage over stone of giving huge weight savings enabling designers and specifiers greater scope when developing facades. To find out more about the new Natural Finishes PPC range by Metalline please click here.